This book provides a multidisciplinary approach to Corporate Social Responsibility. 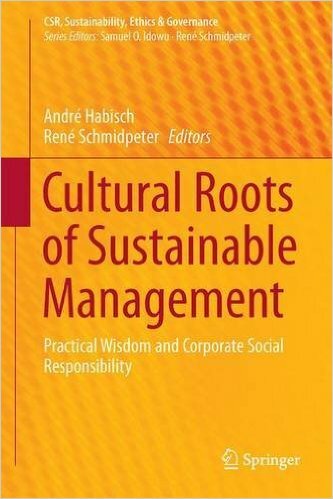 While for decades a purely mathematical-technical orientation dominated the business curriculum, this book presents CSR and sustainability as a business concept embedded in its cultural and spiritual context. It initially approaches practical wisdom from different cultural and religious traditions as a source of spiritual capital for sustainable business practices. Subsequently, it links current CSR concepts and the latest thinking in CSR with long-standing cultural and spiritual knowledge, promoting a more comprehensive view on sustainability management and its implementation at business enterprises. The book collects and unites viewpoints from various cultural and religious contexts, offering a comprehensive guide for international and globally active companies.